If disaster strikes, you’ll need to know about the various edible insects for survival that are available to you. It’s true that most people in the United States get a bit squeamish when they hear they might have to swallow a few bugs – even if they’re doing so to stay alive. However, the fact is there are certain survival situations (like being stranded in the woods without food, or being involved in a nuclear holocaust) when knowing which insects you can eat could very well save your life. 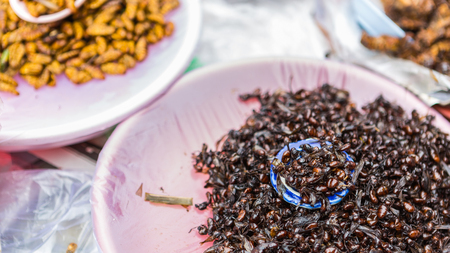 When it comes right down to it, this survival food isn’t even that unheard of – many countries love eating bugs, and eat them routinely. Most types are packed with protein, and have essential nutrients you might not get elsewhere. You need to be careful, though – not all bugs should be consumed. For example, bugs with bright colors are often toxic (their bright colors are a warning to predators to stay away). It’s also important to avoid insects with lots of hair (as the hair is often covering stingers), and any bug with a foul odor (except, weirdly enough, the stinkbug in #4 below). It’s also important to note that you will enjoy most bugs much more after cooking them versus eating them raw (I’ll show you how in just a bit). Cooking bugs also helps eliminate the parasites and harmful bacteria living inside (as well as highly improves its flavor and your ability to digest the nutrients), so it’s very much in your best interest to cook the little buggers first before popping them in your mouth. 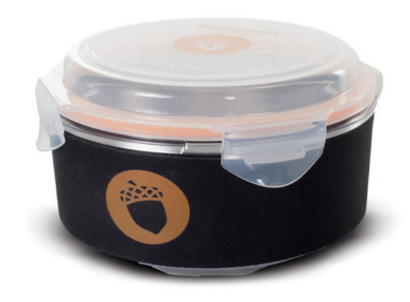 Note: If you don’t have survival cookware ready to go, you’re setting yourself up for a LOT of unnecessary stress and inconvenience later on. 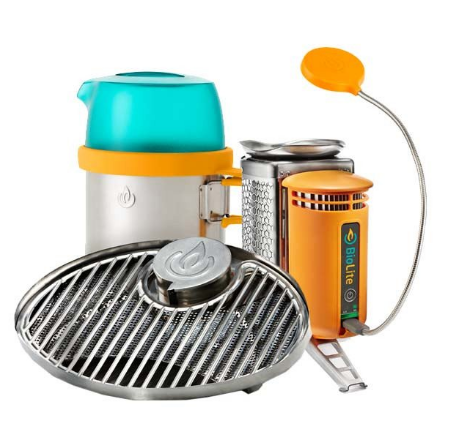 Stock up on the cookware below now to better prepare yourself for a crisis. 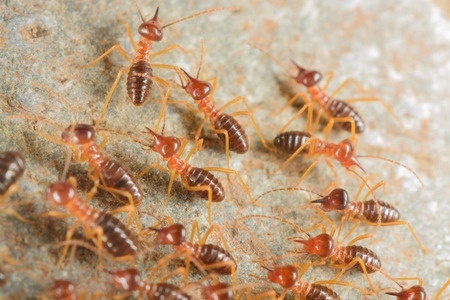 Termites are an excellent source of protein! They spend their lives buried in wood, like in tree trunks; as a result, they rarely see light (making it a little harder to get a good supply). To catch these tiny buggers, break apart a large piece of wood (like a log) and shake it out. Gather as many termites as you can before they bury themselves back in the wood. When you’ve got a good supply, you can eat them after roasting them. Do this in a dry pot/skillet. Despite what you might think, scorpions are edible (apparently they taste similar to crab); you can find these delicacies in the southwestern U.S.
Scorpion dens are buried underground, usually under rocks and branches. To catch them, you’ll need a large plastic container. Dig a hole immediately in front of the den, and place the mouth of the container over the hole. 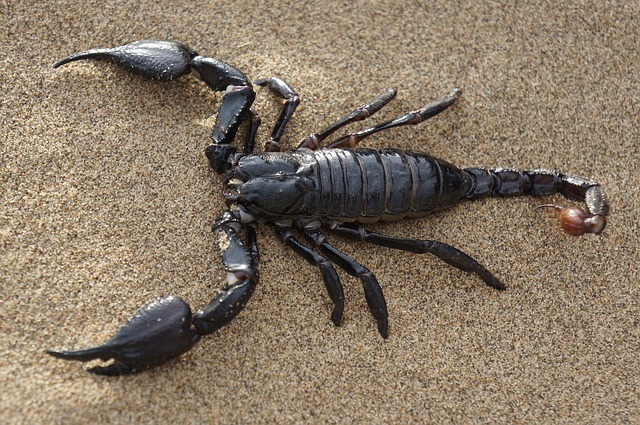 When the scorpion leaves its den at night and enters into the container, you can stab it through the container. Cut off the stinger, and roast it over charcoal until it’s tender and brown. Note: Don’t throw away that charcoal when you’re finished cooking – it’s got a ton of survival uses you can read about right here! 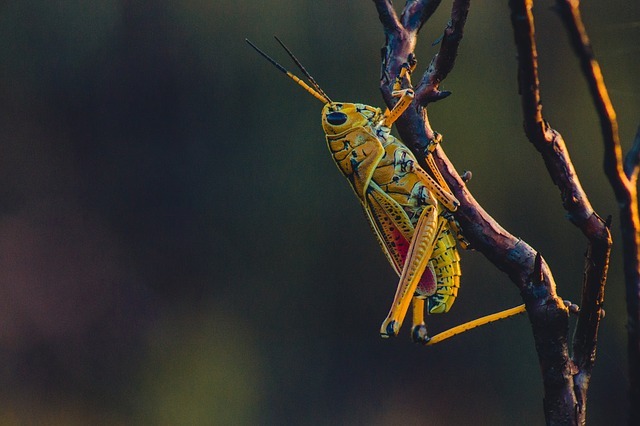 Crickets and grasshoppers are some of the most common insects, and can be found almost anywhere. Look for them at night in tall grasses, under rocks, on branches, and in damp places. You can gather them in jars, or by shaking branches onto a sleeping bag or shirt. Once you’ve collected enough for a meal, start by removing their heads and entrails (this will lower your chances of consuming parasites). Take off the legs and wings, and then roast them in a dry pan. You can also put them on a stick and roast them over the fire. 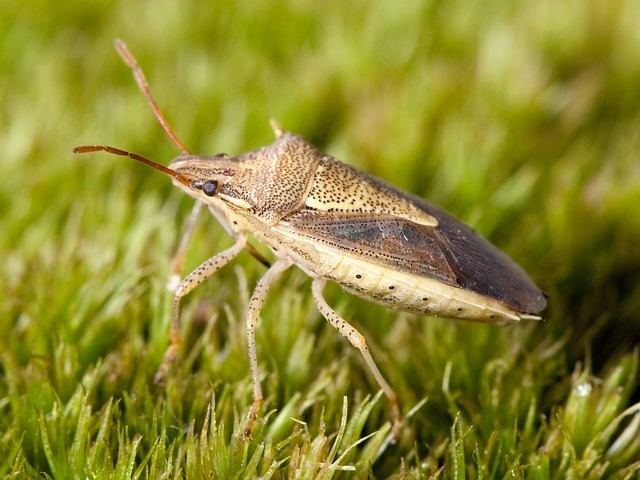 Despite their name, stinkbugs are actually edible. You can find them most prevalently in the wintertime under rocks and logs (or even out in the open). In order to get rid of the smell, let them sit in water for 10 minutes, and then roast them in a dry pan. Note: If the critters are still alive, don’t be surprised – they can live for a full week, even after being boiled. Eat them anyway. Luckily, ants are pretty easy to find and actually taste good. They tend to walk in lines, allowing you to follow them straight back to their home. One way to capture them is to stab a stick into their anthill, and then dunk the stick into a jar of water when the ants crawl onto the stick. 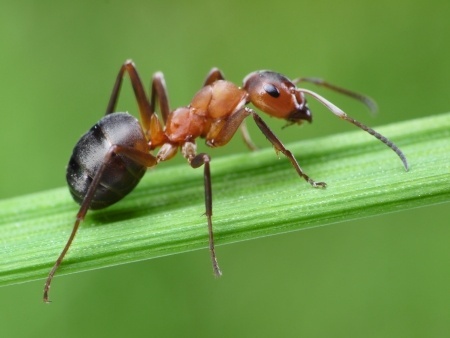 Once you’ve gotten enough to eat, boil the ants for about 6 minutes. They’ve got a distinctive spicy flavor. As disgusting as these look, they’re actually edible. And. 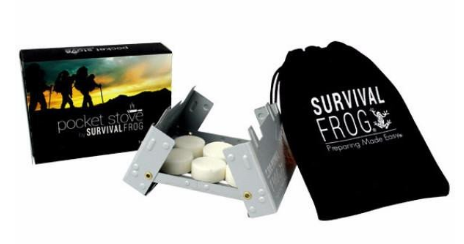 if you’re in a SHTF situation, you may have to depend on them for your survival. 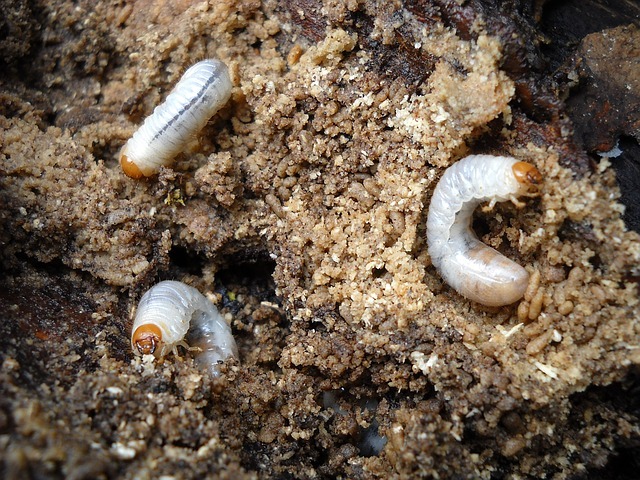 You can gather grubs on rotted logs, under tree bark, and under rocks. One of the best way to cook these suckers is to skewer them onto a stick and stick them over the fire. Cook until crispy. 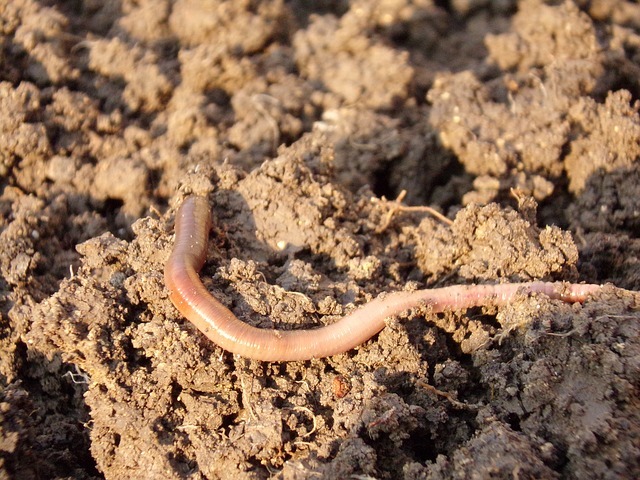 Earthworms live exactly where you would think – in the earth. Dig into the soil, and you’re likely to dig up one of these slimy creatures. Because earthworms often have parasites, remove them by cooking them over an open flame. 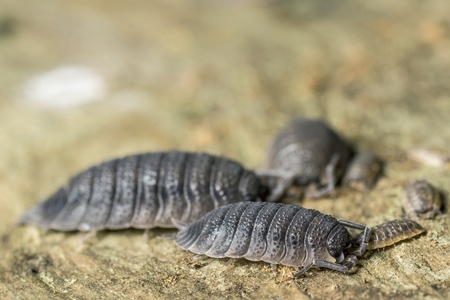 Wood Lice, aka Pill Bugs or Potato Bugs, tastes uncannily like shrimp. You can find them under rocks, logs and dead leaves. Boil these creepy crawlies in water until cooked through. Strain the bugs out of the water before eating. Alternatively, you can also pan roast these until cooked through. Now I don’t know about you, but writing this blog article makes me even more sure that I do not want to survive on bugs if I get in a crisis. 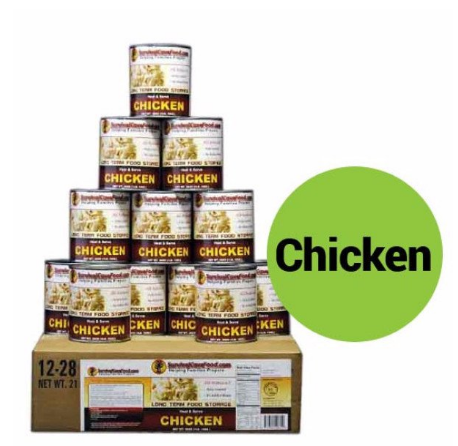 And, even though unexpected disasters can occur, I want to be as prepared as humanly possible…which means stocking up on delicious, nutritious, and protein-packed canned meat instead. 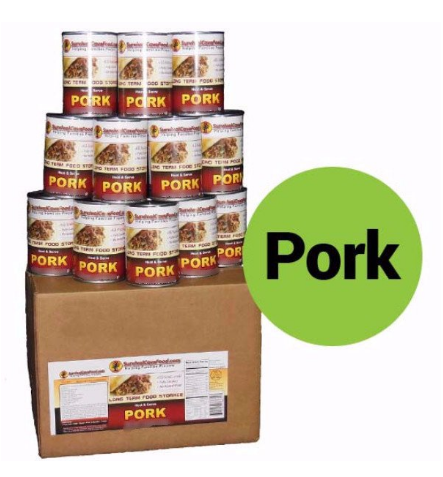 Not only is our Survival Cave canned meat ridiculous delicious, but it’s also incredibly filling, allowing you to keep moving for a longer period of time than other foods. Each can is also incredibly healthy, as it contains nothing but salt and meat. That’s right – you won’t find any artificial colors, preservatives, or hormones in this meat. Just pure, natural protein. And if you’re skeptical that an emergency isn’t going to happen soon enough for these to come in handy, you’ll be happy to know that each can has a shelf-life of 25+ years. This will give you plenty of time to stock up for a crisis (although we highly doubt you’ll be able to utilize your self-control once you’ve tasted these astoundingly delicious meats). Below you’ll find two of our incredible Survival Cave varieties: Chicken and Pork. Why those two? Because, although it’s been said that bugs might taste like chicken or pork, I want you to experience the real thing instead of making you settle for guzzling down creepy insects. Click on the images below to start stocking up on tender chicken and succulent pork today and start preparing for disaster. This entry was posted in Emergency Survival, Nuclear Survival, SHTF, Survival Cooking, Survival Food Recipes, Videos, Wild Animal Survival, Wilderness Survival and tagged best survival foods, DIY Survival, food, survival, survival food on August 23, 2016 by Survival Frog.